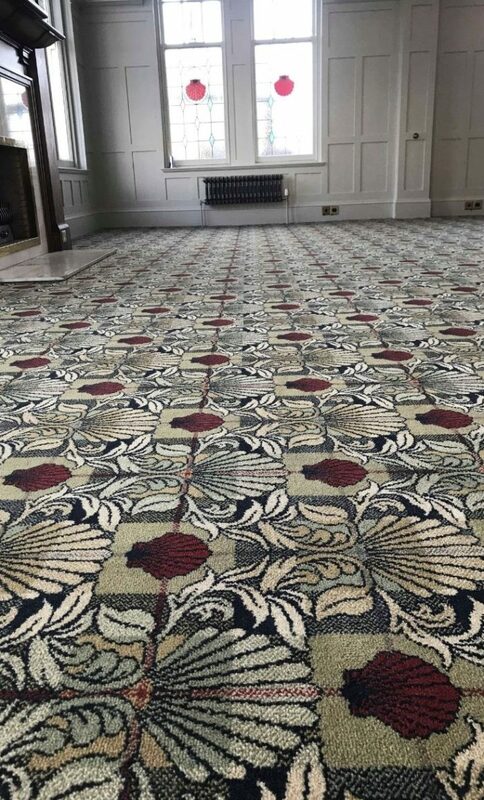 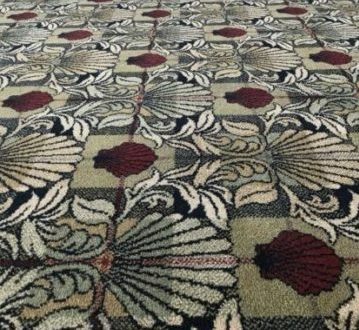 A 9 row, spike-proof Axminster carpet custom designed to the clients exact specifications with emblems and die-shots to exactly match the existing decoration in the club N.B. 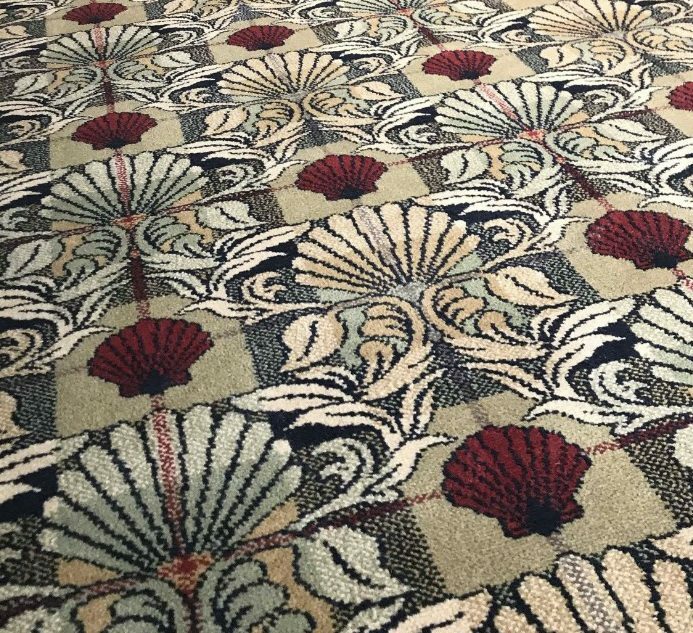 the shell detail in the stained glass emulated in the carpet. 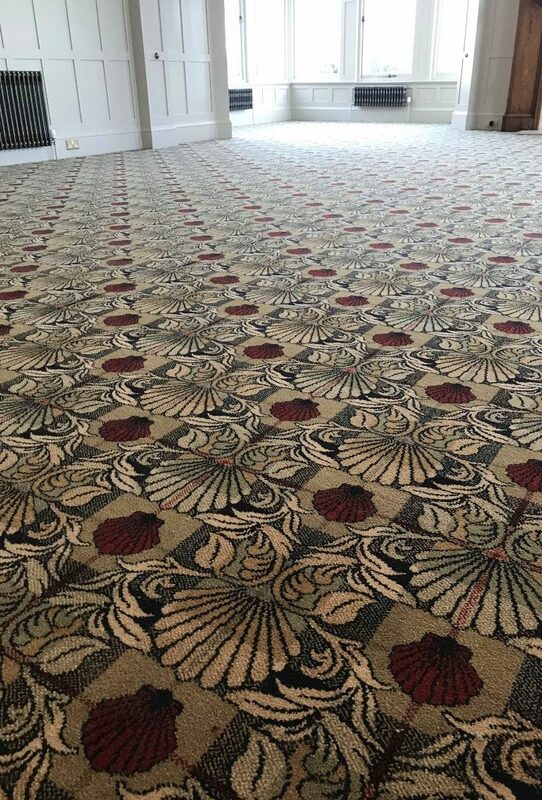 7 weeks manufacture of over 130sqm product installed on durafit system.